Want to know more about lotteries in Australia? Introduced in 1994, the national Australian lottery offers life-changing jackpots every day of the week. From products like Set For Life where winners receive a guaranteed $20,000 every month for twenty years to huge jackpots of millions of dollars, we all love to dream about what we would do with a big lottery win. In this guide, we take a look at the national lotteries by state and by draw to give you an overview of the ways you can play lotteries in Australia. There are several national lotteries in Australia, owned and operated by two main bodies under different licenses. In Western Australia, the lottery is state-owned and administered by Lotterywest but in all other states it is run by the Tattersalls Group. In the main, the same lottery draws are run in each state, though each may have a slightly different name (see Lotteries by Draw, below). Jackpots vary by draw with many being progressive and some resulting in huge prize pools. Though the odds are long, Oz Lotto jackpots can be huge. Image via Vimeo. Known by different names depending on the state you are in, there are twelve main lottery products available to buy in Australia (not including the scratchies, see our full guide to instant win lotteries here). Known as the Saturday Lotto, Tatts Lotto, Saturday Gold Lotto and the Saturday X Lotto depending on state, the main Saturday lottery offers progressive prize pools which can boost the regular $4 million jackpot. They also run mega draw events such as New Year’s Eve where prizes are increased to bigger sums like $30 million. The draw is run every Saturday night with 6 main numbers being pulled from a barrel of 45 with 2 additional supplementary numbers. The overall chance of a win (of any value) is 1 in 85 (see our guide to the Oz Lotto odds for more details). Drawn every Tuesday, the Oz lotto is played by drawing nine numbers from a barrel of 45 with various combinations offering prizes from a few dollars up to potential big wins in excess of tens of millions of dollars. The largest Oz Lotto jackpot was for $111 million dollars; drawn in November 2012, four winners shared the prize. 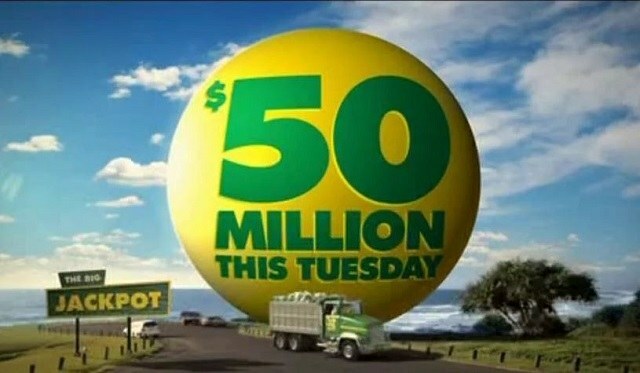 The overall odds of winning a prize on the Oz Lotto are 1 in 55. Known as the Monday and Wednesday Lotto (or X/Gold Lotto depending on state), this draw also offers progressive prize pools which can boost the guaranteed $1 million jackpot. The draw is run every Monday and Wednesday night with 6 main numbers being pulled from a barrel of 45 with 2 additional supplementary numbers. The overall odds for winning any prize in either of these two draws in 1 in 85 (per game). Draws are television in most states on different channels. Image via YouTube. Powerball is drawn every Thursday with 6 balls drawn from a barrel of 40 and a further two supplementary numbers drawn from a second barrel of 20. The jackpot varies but has exceeded $80 million in the past when two tickets shared the prize in 2009. Offering a prize fund which gives players a fixed jackpot of $20,000 per month for 20 years, Set For Life is drawn every day. Ten numbers are randomly drawn from a set of 37; the first eight are the main numbers with the last two being supplementary. Odds for the jackpot are 1 in over 38 million. Drawn like a raffle instead of a lottery, prizes for this game are not shared as each ticket has a unique number. Lucky Lotteries are drawn daily with a winner being guaranteed. There are two draws; the Super Jackpot or Mega Jackpot with the latter being more costly to enter but often with bigger prizes. Also known as the Australian Soccer Pools, players select a combination of numbers which relate to 38 upcoming football matches. Each match is ranked based on the final score thus generating the winning numbers. The winning numbers are determined on a Saturday and the prize pool starts at $60,000. You can find out more about The Pools in our full guide. Drawn after the main Saturday night lotto, Super 66 is an add-on game which can only be played when purchasing a main draw ticket. A six digit number is randomly drawn and players can in by matching a sequence of the first or last numbers with their ticket. The jackpot prize is a minimum of $16,666 with overall odds of winning any cash being 1 in 50. The game is not available in ACT or NSW where Lotto Strike is played instead. Similar to the Super 66 format, a combination of winning numbers is produced by the first four balls of the main Saturday draw. Players can win by matching their selected balls with the position of the numbers drawn. Jackpots start at $100,000 with the game only being played in NSW and ACT. Only played in Western Australia, the Cash 3 draw is played every night and is played by selecting three numbers (0-9). Three numbers are drawn at random with jackpot winning tickets matching the exact order. Other prizes are available for matching the numbers but not in order. Prizes range from $40 to $500. With the exception of Western Australia, players must by aged 18 or over but in WA tickets for the lottery can be purchased at 16. Tickets prices vary by game with players being able to choose their numbers or select a quick pick with randomly generated numbers. Odds at winning a prize also vary by game but you can see our guide to the Oz Lotto odds for more details. Most of the lotteries are run by Tatts with the exception of Western Australia. Image via Tattersalls. Most of the lotteries are the same, state-by-state but there are a couple of differences in the names and some games played. Each state is also governed by slightly different legislation so, here is our run down on the lotteries of Australia by individual states. 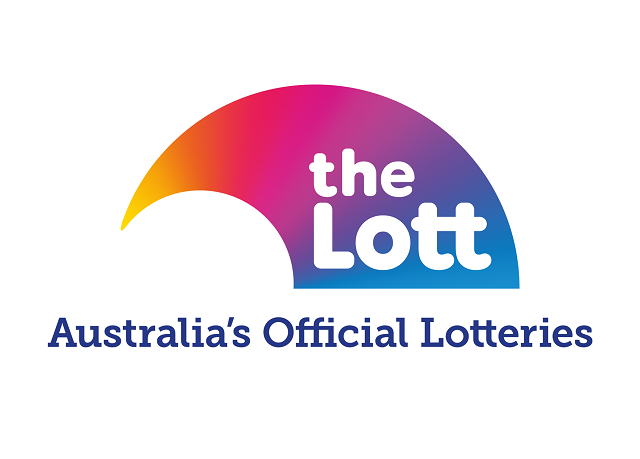 A part of the Tattersalls Group and operated by The Lott, the lottery in the ACT is governed by NSW Lotteries. Operated by the NSW Lotteries as part of the Tattersalls Group, players can access information via The Lott. The lottery is run under licenses for the Tattersalls Group by both Tatts and Golden Casket under The Lott website. In Queensland, the lottery is operated under the Golden Casket brand name. Image via Tatts. Operated for Tattersalls under the name ‘Golden Casket’, The Lott runs lotteries in Queensland. The SA Lotteries also operates a Keno draw which is run every 3 minutes and can only be played in store. Use the Lott site to find a local retailer to be in with a chance to win jackpots of up to $1 million. The lottery is operated under a license by Tatts and Golden Casket by Tattersalls under The Lott banner. They also run the Cash 3 draw which is only available in Western Australia. Featured image via The Lott.